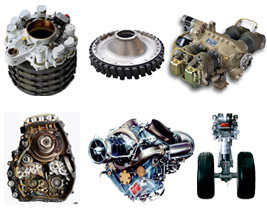 3TOP Aviation Services is built on over 40 years of combined aviation experience. We pride ourselves in using our extensive network of customers and suppliers to create a valuable service provider to the aviation community. 3TOP Aviation Services has developed a customer and supplier base that includes some of the top commercial airlines, cargo carriers, repair facilities, and asset management partners. We bring a wealth of experience to all facets of the aviation services business. The success we have is due to the high value we place on 'Customer Retention' through honesty and fairness. Quality and Reliability is at the heart of everything we do. These values are the core tenets of 3TOP Aviation Services as we seek to create a valuable service provider to the aviation service marketplace. UK - Unit 14, Mole Business Park, Leatherhead, Surrey, KT22 7BA, UK. UAE - Office # W-111B, Dubai Airport Free Zone, PO Box 293555, Dubai, UAE. USA - Suite # 700, The Crescent, 100 Crescent Court, Dallas, Texas 75201, USA. © 1999-2018 3TOP Aviation Services, LTD - All Rights Reserved. Terms & Conditions.